How Do We Select Grantee Partners? In order to be more efficient and sensitive to the time restraints of all potential grantees, we don’t accept grant applications. Our staff discover and research potential grantees. However, if you have thoroughly studied our mission and grantmaking and believe your organization is a good match, we welcome you to send a brief paragraph including your 501(c)3 tax-exempt number and your current fiscal supports and budget. We begin looking for new grantees at the beginning of each grantmaking cycle (biannually). We compile a list, gather data, and narrow down the pool to several grantees who fit our mission and requirements. Then, the board meets and deliberates for several hours before deciding whom to fund. Am I eligible for a Catalyst Grant? Every Catalyst grant we have given has been a previous grantee of another category. Because those grants are bigger, we like to work with the grantees first and get to know them. Therefore, only previous partners are eligible. When do you select your grantees? It’s not always precise depending on the schedules of our board members, but typically we decide in late summer or autumn on even years for Catalyst, Seed, and Partnership grants; and late summer or autumn on odd years for Generational grants. What are your requirements for consideration for a grant? You must have U.S. 501(c)3 nonprofit status, or have a fiscal partner through whom we can designate the funds. You must have a mission focusing on education or job creation. Lastly, you must have a budget of $250,000/year or less for Seed grants, or $1,000,000/year or less for Catalyst, Partnership, or Generational grants. What kind of reporting does Skees Family Foundation require? We don’t require any grant reporting. All we ask is that you speak with our strategic planning consultant, Third Plateau, once a year in a 30-minute interview to update them on how you’re doing as well as how we are doing. We also would love it if you would fill out a feedback form on GrantAdvisor. A foundation is a non-governmental entity that is established as a nonprofit corporation or a charitable trust, with a principal purpose of making grants to unrelated organizations, institutions, or individuals for scientific, educational, cultural, religious, or other charitable purposes. This broad definition encompasses two foundation types: private foundations and grantmaking public charities. What does Skees Family Foundation do? Our goal is to alleviate poverty in the most sustainable way possible. We’re always trying to stay up-to-date on what is working and what isn’t in the industry. We take that information and look for innovative, nascent organizations who specialize in the areas we have chosen to focus on (education and job creation) and who have either already begun to make an impact, or who we feel have a solid, scalable model for change. Then, we fund them. We build relationships with them and we try to learn from them, from both their successes and their failures. What is the mission of Skees Family Foundation? We think stimulating local economies worldwide is one of the best ways to alleviate poverty. It is sustainable and scalable. Therefore, we like to focus on this area–it’s one of the easiest ways to bring people out of poverty. Educating people has proved time and time again to be one of the most useful methods in reducing poverty. People are able to escape the cycle of poverty with even just a high school education. Therefore, this has always and probably will always be one of our core areas of focus. Who runs Skees Family Foundation? We have six board members, all members of the Skees family, and, two of whom are also part-time staff members. The staff members, Sally Skees-Helly and Brienne Skees, work together to organize the workload and then we have board members who take on that work. The board members each have their own responsibilities, and they meet four times a year to update each other and vote on various changes and grant making. How do you work together? Since we all work other jobs and live in places as disparate as South Korea, New York, and California, we talk via email and text message and meet over video-conference. We also conduct partner meetings and virtual site visits this way. What is the budget of Skees Family Foundation? Generally, we have two-year grant cycles and in that cycle, we aim to distribute approximately $58,000 per year. Private foundations must pay out at least 5 percent of their assets each year in the form of grants and operating charitable activities. Therefore, our grantmaking budget is generally around 5% of our total corpus. In even years, we give out Seed, Partnership, and Catalyst grants. In odd years, we complete our two-year Generational grantmaking cycle, which has a budget of $6,000 per year. With regards to our expenses, we try to be as minimal as possible. Because our corpus is small and our grantmaking is lower than most foundations, we feel the need to be quite frugal. We do have two part-time staff members, a few external consultants, and general expenses, but we rarely (never, really) spend money frivolously on things that aren’t absolutely necessary. Why do you only give unrestricted funding? We give unrestricted grants for many reasons, but primarily, unbeknownst to the grantees, we put them through a very rigorous selection process prior to deciding to fund them. Therefore, by the time they get the check in the mail, we have already decided we trust them. So whether they need funding for programs or for light bulbs, we know they will use the grant we give them in the best, most effective way for them. Why do you mainly give to global causes rather than U.S.? We know that there are problems that need attention here at home, and we support and applaud those who are trying to tackle those problems. However, the budget for SFF grant making is very small. 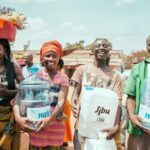 Our $5,000 grant can go so much further in affecting change in developing countries than it can within the U.S. Additionally, the problems that we focus on are much smaller in scale in the U.S. than they are in the developing world. So while we do give to some organizations here at home, we feel we are being more effective by focusing our time and money on international grantmaking. In what ways, besides giving monetary grants, does Skees Family Foundation help their grantees? We help with storytelling and connection building. Our blog, Seeds of Hope, highlights grantees and successes they have achieved. Additionally, we connect similar-minded grantees and, in rare instances, grantees to other funders. We are always available to our grantees if they need professional advice or assistance. Lastly, once our grantee grows out of our grantmaking limits, we occasionally offer impact investments. How do you decide whom to fund? This is by far our hardest job, as a very small foundation with very limited funds. There are so many amazing organizations out there who are trying to make our world a better place. Because of this we have to be quite strict about where we put the money we have. Our first look is at mission. If an organization is not working in education and/or job creation, we generally eliminate them from the pool. Next, we look at their budget. If they have a large budget (usually over $1,000,000), we usually take them off the list. Then, we look at scalability of the model they are using. Are they able to grow effectively and efficiently? After that, we look at smaller details, like how long they have been around, what impact they have had, how they have grown already, etc. Finally, we try to keep a well balanced portfolio of grantees with regards to mission (education versus job creation), geography, etc. How can I donate to Skees Family Foundation? Unfortunately we cannot accept donations. But we make it easy to donate directly to our grantee partners from our website. Just go to our Causes page, find an organization you want to donate to, and follow the link to their website. 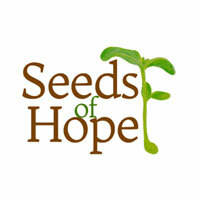 Seeds of Hope is a blog that was created by our founder, Suzanne Skees. We use this platform to share stories of our grantees, past, and present. We like to share with readers who we are funding, what accomplishments they have achieved, what they have learned, how they’ve grown, and so on. 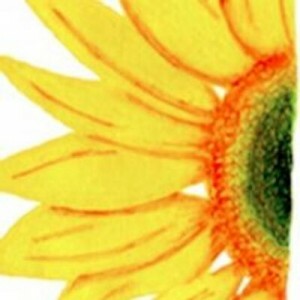 We also use the Seeds of Hope blog to update readers on Skees Family Foundation news. We share updates on how we’re funding, how we’re changing, and what we’ve been doing and learning. How do I subscribe to Seeds of Hope? How do I submit a story to Seeds of Hope? If you have written a story that fits with our goals of Seeds of Hope, you can send the story to [email protected]. If we decide to publish it, we will contact you. Where else can I apply for a grant? You can visit our Resources page to see other granters. Also, The Foundation Center has a comprehensive list of funders organized by place and issue area.